We are pleased to announce the opening of our new clinic. 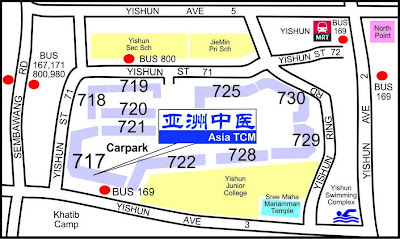 We will be closing our clinic at Ang Mo Kio from Monday July 29, 2012. Beginning August 10, 2012, full clinical services will resume at the new location. This move will allow us to better serve you in the future. Our new facility will be bigger. As such, we will have more exam rooms that will allow us to see more patients in a timely manner. Our office telephone numbers, email address, website address will remain the same. Naturally, we will be sharing further communications as we approach the move date, so please stay tuned. We thank you for choosing our clinic and helping us grow over the years.